Project managers play the vital role in managing work throughout a project. They need to work on the knowledge about application, skills, tools, and techniques that can be used to meet the project requirements. Even though you possess all the knowledge required to manage a project if you have not got the skills to apply them it becomes useless. 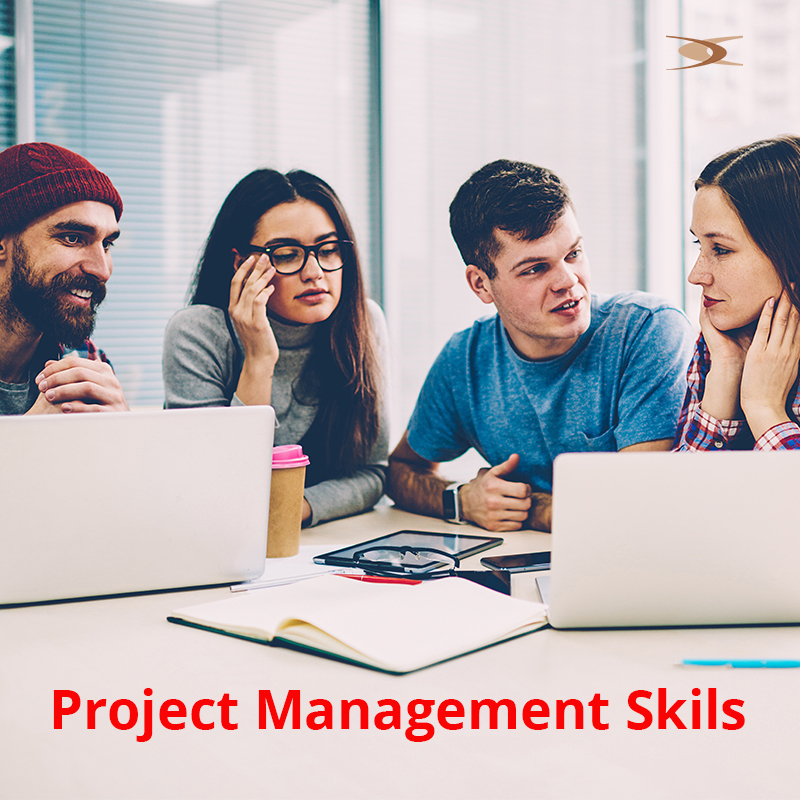 It is necessary for you to hone the below explained project management skills to be successful in your career. From all these years of leading many projects, we find that the leadership quality is an essential skill for a good project manager. A project manager should possess some leadership qualities like, the ability to guide and manage teams, having a proper vision, motivating the team to go for it, train them with required skills and encourage others to take responsibilities. Being a leader isn’t all about creating a positive vibe for our team, you also have to enforce the process to keep everyone on time. Also, a project leader must act as a cheerleader while bringing balance to the project and team. You need to have a clear vision and a roadmap for the success of the project and lead your team by supporting them to get there. The ability to communicate well by understanding and being understood is an essential skill for project management. A project manager should possess excellent communication skill as it is the key to any relationship. The way a project manager communicates has its impact on the team as well as on the client and stakeholders. Every client would love to hear as much as updates from the project manager about the current status. So, the maximum you communicate with your client, the stronger your bonding becomes, and eventually, there will be a higher chance for the project to be successful. Planning is the key to any project management skill, and it is also where many project managers fail to pay better attention. The role of a project manager is to organize all the tasks in the right order so that we can get the desired outcome right on time. Also, a project manager has to look over the progress of the project as it goes on and makes any necessary tweaks required to stay on track. If you act without having any proper plan, it is hard for a project to be successful. One other important role of project managers is to determine and communicate how other people will spend their time productively. However, how they manage their own time also pays equal importance. There can be millions of good things you could be doing, but you must know when to say a No. The only problem with us is that we spend most of our time on urgent tasks at hand and leave the important tasks unattended. So if you only got a limited amount of time in your day, make sure you clearly understand the difference between urgent and important tasks. A project manager should also respect and value his teammates time. He should be able to read the body language of people in the room and ensure that all are staying on course. Always, look for opportunities to assign responsibilities or rearrange your schedule as necessary. Project managers are the one to take the blame when a project doesn’t go according to plan. Everyone thinks that a project manager could have foreseen any risk involved and prevented it before an issue occurs. Most of the project managers fail to consider the risks as serious threats. Effective risk management, you need to have experience in identifying what or where it could go wrong. The earlier you identify the risk, much better are your chances of avoiding it. You should have a risk management plan and always keep track of it. Your clients will be happy with you because you will be able to improve product delivery with better value for money. How Will Artificial Intelligence Change the World in the Future? Why is Microsoft SharePoint Important for Small Businesses? XCEL Corp is a Global IT Leader providing end-to-end information technology services working with leading Small-Medium-Large enterprises from various industry verticals including but not limited to BFSI, Telecommunications, Media, Technology, Energy & Utilities, Manufacturing, and Retail.